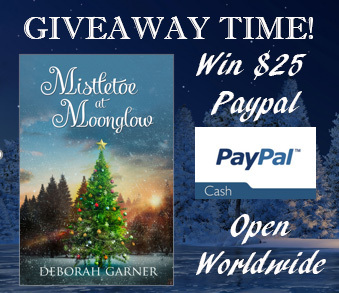 Mistletoe at Moonglow is part of Paige Mackenzie Mysteries series by Deborah Garner and can be read as a standalone but still I would recommend that you read the previous books to get a better understanding of the characters' lives. While the author brings to us a standalone sequence of events in this book but still I felt like I didnt know the past and the future of the characters and this lack had me itching to stop and read the other books first. The story is all about Christmas cheer. I enjoyed visiting Timberton Hotel and could feel the excitement of approaching Christmas with lots of good food, gossip and a comfortable stay. This is one hotel I want to visit in reality! 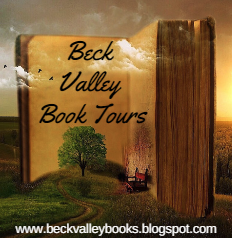 The characters are a varied group and it was interesting to follow them in their adventures. 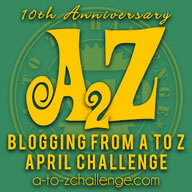 Deborah has expertly managed to make them real and I loved meeting them. 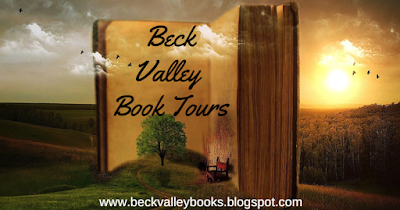 The pace is maintained throughout and the book left me with a smile on my face and a warm feeling in my heart. I loved how it has recipes as well which I can't wait to try. 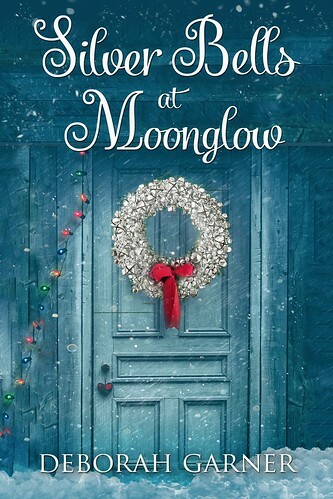 A lovely holiday read, I enjoyed reading Mistletoe at Moonglow and while this is an engaging, heartwarming book, I felt it could have been better with the author giving a brief about the past of the characters and a preview to their future. 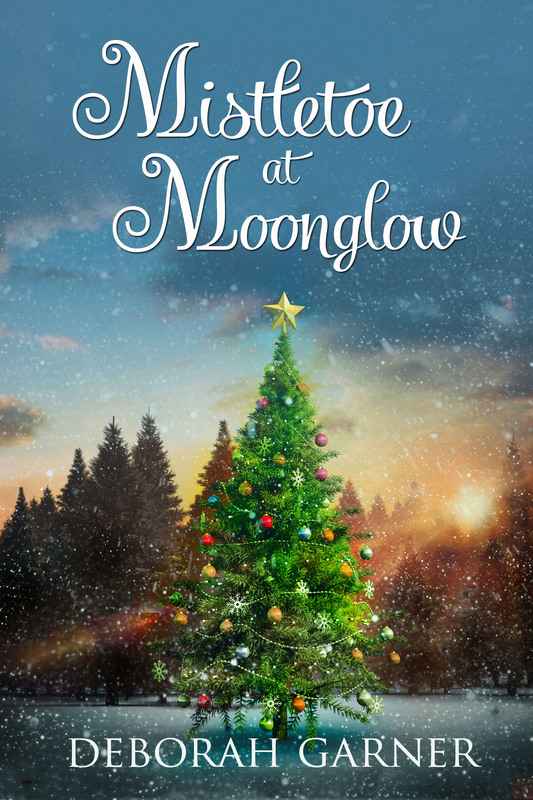 All in all, Mistletoe at Moonglow is a book that will leave you feeling the Christmas magic. 4 out of 5 to it and recommended to all readers looking for a sweet, short holiday read. I received an ARC for review and the above review is my honest and unbiased opinion. 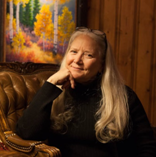 "Christmas at the Timberton Hotel is special. The beauty and peace people find there is magic. Strangers come to escape their pain and find solace and strength. I loved this story. It gave me a sense of hope. The characters are amazing." 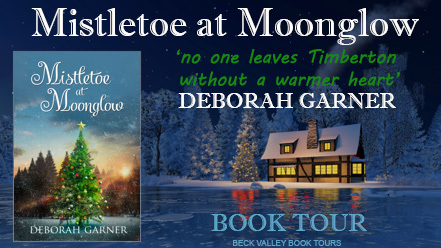 "Deborah weaves a beautiful mosaic of Christmas sights, sounds and smells and introduces us to memorable characters. From the grieving widow to the five-year-old child who lost his brother to a reclusive scholar who only wants to sit in front of the fireplace and read, each are treated with genuine emotion and care which adds to this uplifting story." "Deborah did it again. What a great christmas story. I love christmas stories and this will be one that I will read year after year."